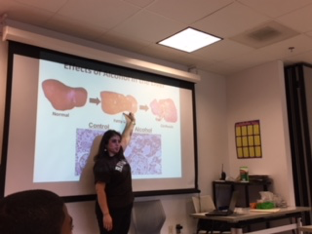 Dr. Teresa Ramirez and Ms. Mary Kombolias volunteered with the BEST Kids Mentoring program in DC on October 14th to share with middle school students (~13 kids) that science can be fun. The BEST Kids Mentoring program provides students from underserved communities to be pairs with mentors and learn more about educational opportunities. 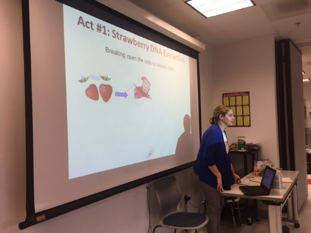 Dr. Teresa Ramirez and Ms. Mary Kombolias, both AWIS Bethesda Chapter members volunteered and did a strawberry extraction with the students in which they enjoyed very much. At the end, the students were excited about science and were inspired to pursue a career in science. Our volunteer work is meaningful and you never know how life changing it can be in a student’s life.